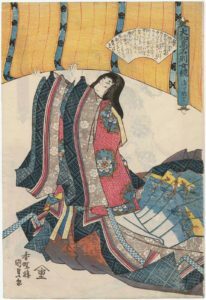 This week, we cover the fascinating tale of Sei Shonagon and the Makura no Soushi, or Pillow Book. Why is a collection of anecdotes considered to be one of Japan’s greatest literary classics? What makes the Pillow Book so famous? And why does Isaac love it so very much? Henitiuk, Valerie. 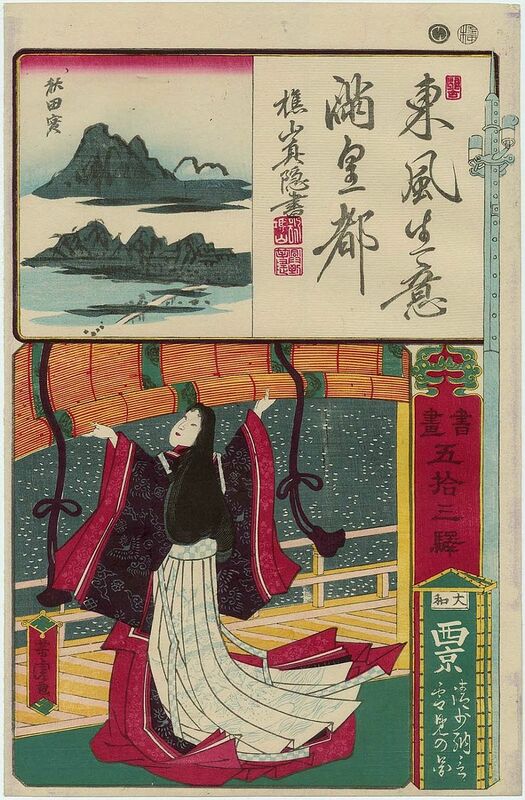 Worlding Sei Shonagon: The Pillow Book in Translation. Sato, Hiroaki. Legends of the Samurai. Ivanova, Gergana. Unbinding the Pillow Book: The Many Lives of a Japanese Classic. 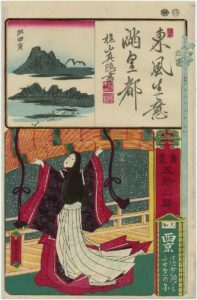 Sei Shonagon views the snow in Yamato province, by Utagawa. A Tokugawa era woodblock print. 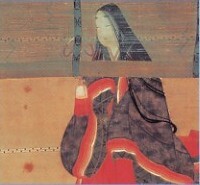 Sei Shonagon as depicted in a mid-Edo woodblock print. Sei Shonagon, from the late Edo woodblock print series “Six Fashionable Female Poetic Immortals.” I think she would have adored being described with all those words. 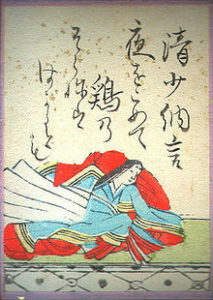 Sei Shonagon with her poem from the Hyakunin Isshu (no. 62) above. 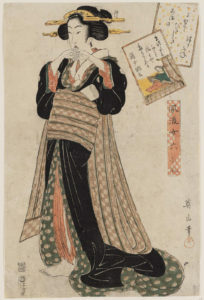 Sei Shonagon became one of the most famous women in Japanese history, justifying her inclusion in this series of woodblocks by Utagawa Kunisada I: A Mirror of the Renowned Exemplary Women of Japan.